In Sunday’s series finale, in which the Yankees had to win in order to win the series, the Yankees lost 7-2 as Phil Hughes limited them to only two runs and three hits while striking out six in his eight innings pitched. 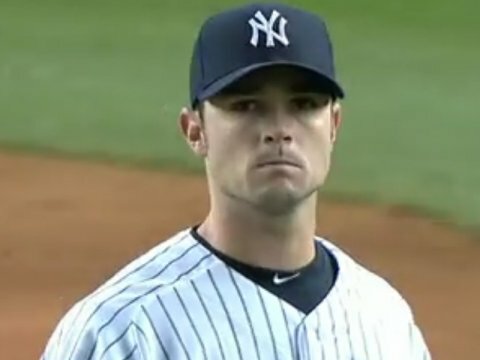 Hughes, who played for the Yankees for his first seven seasons of his career and had a horrible 5.19 ERA in 2013, allowed all of his runs in the fourth inning. The Yankees were in position to win the game in the ninth inning, but the usually reliable David Robertson blew his second save of the season. Joe Girardi had him attempt to get the save after throwing 27 pitches in the ninth in Saturday’s win, when he could have left Adam Warren in the game. However, it’s not like he hasn’t been able to pitch on consecutive days this season since on the two previous times he threw for a second consecutive day he did not allow any runs. If it was because of pitching on consecutive days or not, he had by far his worst appearance since taking over for Mariano Rivera. His ERA rose from 2.08 to 4.50 after allowing a lead off homer to Josh Willingham with the Yankees winning 2-1, a walk to Kurt Suzuki, a walk to Aaron Hicks to put runners on first and second and then Brian Dozier’s double scored Suzuki. Joe Mauer was then intentionally walked to load the bases. He was then taken out of the game for Matt Daley, but all of those runners would score and be charged to him. Hughes found a lot of success in 2009 out of the bullpen in helping them win the World Series, and was an All-Star in 2010 when he picked up 18 wins after a dominating first half of the season, but he was much better on the road in his last few seasons and it was obvious that he would not be back after the 2013 campaign. Hughes was emotional upon pitching at Yankee Stadium for the first time as a visitor, but he knew that making his pitches would help. “A little bit more nerves than usual, but thankfully I was throwing strikes early and was able to make some pitches,” Hughes explained. The only Yankees who drove in runs were Derek Jeter and Ichiro Suzuki. They would have scored more runs in the fourth inning but they were not able to record any extra base hits after Brett Gardner led off the inning with a triple. Jeter’s single drove Gardner home for their first run and then Jacoby Ellsbury’s single advanced him to second. Then, Brian McCann walked to load the bases, Yangervis Solarte popped out to the shortstop, Ichiro Suzuki hit a sac fly to center that scored Jeter for the second run and Brian Roberts struck out with runners on first and second. The Yankees could have had a big inning if Ichiro and/or Roberts would have had extra base hits. The Yankees, who are 3.5 games behind the Toronto Blue Jays in the AL East with a 29-26 record, have a negative 15 run differential and are 5-5 in their last 10 games. In a stadium that is built for runs and power hitting, the Yankees are struggling to win at home. They are 12-13 at home, which is mostly due to a struggling offense. The Yankees have scored more than four runs in only two of their past seven home games. The Yankees are also without Carlos Beltran and Mark Teixeira right now, which is hurting their chances of hitting home runs. The Yankees are currently in “wait and see” mode with Teixeira after he received a cortisone shot for inflammation on his right wrist. They have some promising news regarding Beltran as he went to Florida on Sunday for extended spring training games, and could return to the team by the end of the week if he doesn’t have a setback. The Yankees face the Seattle Mariners and their ace, Felix Hernandez, at home Monday night in a make-up game, and then continue their home-stand with a three-game series against the first-place Oakland Athletics. The Yankees bats will not to rebound from not producing against the two worst starters in the AL on Friday and Saturday and find a way to drive in runs against the quality pitching that they will face this week. The Yankees won two out of three game in the weekend series against the Baltimore Orioles. However, they definitely had a chance to win the third game on Sunday. They were winning 3-0 in the sixth inning when Joe Girardi took Andy Pettitte out of the game with runners on first and second. It made sense that he put Shawn Kelley into the game, since he had prevented a very small amount of inherited runners to score this season, but unfortunately Kelley gave up a single and a home run to J.J. Hardy, which was the start of a seven run inning for the Orioles. Girardi can’t really be blamed for bringing in Kelley because Pettitte was approaching 100 pitches (93) and that has been his limit this season. He is 41, so it makes sense for him not to throw too many pitches especially because it has been working recently. The bullpen has been very reliable recently and that was a situation where Kelley should have come through for the team. Another factor that contributed to the loss for the Yankees was that they left 10 men on base and went 1-for-10 with runners in scoring position. For the rest of the season, the Yankees can’t afford to waste opportunities like they did Sunday afternoon. The Yankees had a chance to move within 2.5 games of a Wild-Card spot if they had won because the Tampa Bay Rays lost yet again to the Oakland Athletics. Their loss on Sunday makes the upcoming series against the Chicago White Sox even more important for the Yankees to sweep. Phil Hughes, who has a 1.38 ERA in 10 games pitched and six starts against the White Sox, will start Monday afternoon. He has been the least reliable and inconsistent pitcher this season for the Yankees, but Hughes does pitch better at home and has a history of pitching well against Chicago. Hughes, whose 4.91 ERA is one of the worst in baseball, has pitched better recently as he has not allowed more than three runs in his last three starts. The Yankees will need Hughes to pitch into the the sixth inning allowing three runs or less and the offense will have to come through with runners on base. The White Sox (56-79) have the second worst record in the American League and have scored the fewest runs in the AL. 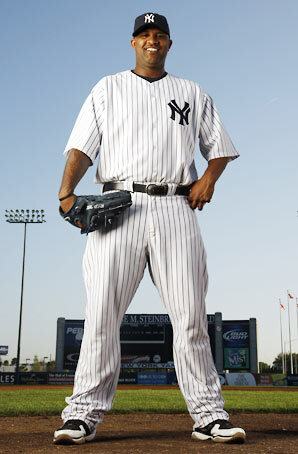 Hiroki Kuroda (11-10, 2.89 ERA) will pitch on Tuesday and CC Sabathia (12-11, 4.91 ERA) will get the start on Wednesdy. This the first of 12 games that the Yankees have against last place teams in their final 26 games. They will need to win 10 of the 12 games against the cellar dwellers if they are going to make the playoffs. The Yankees play the first of three games against the Baltimore Orioles tonight at Yankee Stadium. Baltimore is currently 3.5 games behind the Oakland Athletics for the second Wild-Card spot and the Yankees are five games behind the Athletics. The Yankees play 14 of their next 17 games against the Orioles and Boston Red Sox. However, it is crucial that the Yankees win at least eight of their next 10 games because they need to take advantage of the games that they have at home. The Yankees have lost four out of their last six games, but those games were at Tropicana Field and at the Rogers Centre. In the Bronx, the Yankees have a 38-27 record behind the cheers from the Bleacher Creatures, but on the road in enemy territory their record stands at 32-36. Baltimore has a 33-32 record during road games this season, but at home at Camden Yards their record is a much better 38-29. The Yankees need to take advantage of a team that is virtually playing .500 baseball in road games. The Orioles are coming off of a series where they lost two out of three games to the Boston Red Sox. In his career, Alfonso Soriano has hit .290 with 21 homers and 50 RBI against the Orioles. Derek Jeter, who will be starting at shortstop after making his return from the disabled list on August 26, has a .307 average in 270 games played agains the Orioles, with 24 homers and 135 RBI. Robinson Cano will be making his return to second base after being hit on his left hand by a J.A. Happ pitch during the Blue Jays series. The Yankees are lucky that his injury was not more serious. 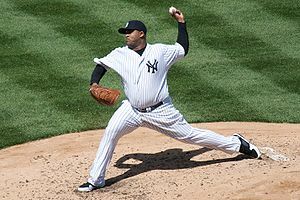 CC Sabathia, who is tonight’s starter for the Yankees, has allowed five runs or more in four of his last seven starts. However, he has shown some signs of improvement as he allowed three runs or less in three of his last four starts. Sabathia needs to throw seven innings and allow three runs or less tonight against the Orioles. When David Robertson was asked about the upcoming series David Robertson said: “If we don’t fare well against Baltimore it could be the series that breaks us.” When asked about the 10 consecutive games at home Robertson said: We need to win nine of these 10 games if we want to have a chance at this thing. I hope we are up to the challenge.” Robertson, who is speaking his mind like he has not done much in the past, basically is saying exactly what the Yankees need to do. Miguel Gonzalez, who is pitching tonight against the Yankees, has not started since August 20, where he allowed two earned runs in 5.2 innings. If the Yankees win during this series, they are guaranteed to gain ground on the Tampa Bay Rays and Athletics, since they play each other. The Yankees will be rooting for Tampa because they are ahead of the second place Athletics. The Yankees will likely need 92 wins to get into the playoffs as a wild-card, which will mean they will have to go 22-7 the rest of the season. They will need Sabathia, Phil Hughes, Ivan Nova, Andy Pettitte and Hiroki Kuroda to pitch well the rest of the way. Ivan Nova, who has struggled a little recently but has been the team’s second best pitcher this season, will pitch in the game on Saturday afternoon. Phil Hughes will start in the series finale on Sunday. It is important for the Yankees offense to come back to life during this series like it did during their hot streak earlier this month. 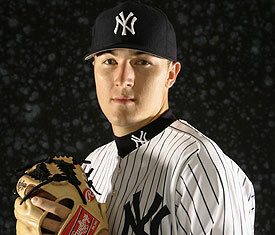 Update: Andy Pettitte has been bumped up to start on Sunday and Phil Hughes will now get the start on Monday. This move makes sense because it allows Pettitte to pitch in a game with more significance. CC Sabathia delivering a pitch. The Yankees (51-44) lost their last game before the All-Star break, 10-4, to the Minnesota Twins after two errors and surprisingly shaky pitching from CC Sabathia. In his career, prior to this afternoon’s game, Sabathia had 17 wins, four complete games, 184 strikeouts and a remarkable 2.96 ERA, which makes this start an anomaly. Only three of Sabathia’s eight runs were earned, as a result of Eduardo Nunez’s throwing error in the third and Lyle Overbay’s error in the fourth, but Sabathia still allowed eight hits and two walks in four innings pitched. This has been Sabathia’s worst “first-half” (the All-Star break is not technically the middle of the season) of the season as a result of the 4.07 ERA that he has so far. His second highest pre All-Star break ERA was 3.86 in 2009, but he ended that season with a 3.37 ERA and 19 wins. He should be able to pitch much better in the second half because he usually improves after the All-Star break. Nunez, who has been error prone throughout his career, made his fifth error in 35 games in the field this season. Nunez has made four errors in 32 games started as shortstop this season. In 2012, Nunez committed a combined seven errors in 26 games played at shortstop, third base and second base. Overbay, who has been one of the best defensive first baseman throughout his career, committed his third error of the season in 77 games played at first base (He has also started games in the outfield and at DH this season). The two offensive standouts for the Yankees were Ichiro Suzuki and All-Star Robinson Cano. Ichrio was 3-5 with two runs batted in and his sixth homer of the season. Cano, who was 2-4 with an RBI, is now on a nine-game hitting streak. However, the Yankees still stranded nine runners during the game. It is disappointing that the Yankees did not win the final two games of the series against the Twins. They had won won the previous five, four at Target Field and one on Friday, and the Yankees had been 17-5 against American League Central opponents before the last two losses to the Twins (39-53). The losses against the Twins as well as the two losses to the Royals in the middle of the homestand are ones the Yankees needed because the schedule gets more difficult after the Midsummer Classic. They play 10 games in 10 days against the Red Sox (56-39), Rangers (54-41) and Rays (55-41). The Rays have won 10 of their last 11 games and have been able to take advantage of inferior competition unlike the Yankees. The Bronx Bombers basically did not show up for the last game of the series. They need to be rejuvenated by the four days off so that they will be ready for Boston. Even though Phil Hughes had 10 strikeouts against the Twins on Saturday, Brian Cashman should look into getting an upgrade at catcher for him because his is not reliable enough and would do better for a National League team. The Yankees lost the opening game of the series against the Kansas City Royals, 5-1. They had a chance to score at least a few runs in the ninth inning, but after having the bases loaded with nobody out, Brett Gardner and Zoilo Almonte struck out to end the game. The game was delayed by 59 minutes in the fourth inning. Before the official rain delay the grounds crew decided to try and fix the home plate area but then they had trouble getting the tarp on the field. Adam Warren pitched well in relief of Phil Hughes, who did not come back after the delay partly because he had to sit for much longer than Jeremy Guthrie, but the Yankees will not win many games when they score only one run. The offense was able to put nine hits together but 10 runners were left on base and hitters left runners in scoring position with two outs four different times. Hughes would have had a solid outing if he would have limited the Royals scoring in the second to Billy Butler’s solo home run. However, as is often the case, he was not able to bounce back as David Lough hit an RBI double later in the inning. 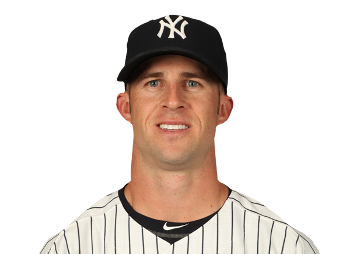 Brett Gardner, who only has one hit in his last 21 at-bats, set a new Yankee record after striking out in the ninth inning. He has now struck out in 16 consecutive games. He needs to turn it around because before this cold spell he was one of the most consistent hitters on the team. The Yankees offense is now struggling once again as they have only scored two runs in their last two games (both losses). This can partly be blamed on not starting Lyle Overbay, Ichiro Suzuki or Eduardo Nunez. Overbay did not start the game because the Yankees had just signed Travis Ishikawa to give him a break and Joe Girardi didn’t want Nunez starting three games in a row coming off of the disabled list. Robinson Cano has also cooled off after a previous hot streak. He will start the All-Star Game for the American League, but Cano has gone 3-16 in the last five games. However, he was due for a letdown (as well as Gardner) because in the five previous games he was 11-19 (.578), with four homers and nine runs batted in. It was surprising that Ishikawa was booed by the fans after his second strike out in as many at-bats in the fifth inning. New players will usually have a few games to prove their worth before the fans start to boo them. The Yankees only had four base-runners against Jeremy Guthrie in 6.2 innings. He was able to regain the pitching form that he showed before the long rain delay as the Yankees did not score until Overbay’s solo homer in the seventh. On the pitching side for the Yankees, Preston Claiborne had his second consecutive sub-par performance. After allowing only one earned one in his first 15 appearances, he has now allowed four earned runs in his last two. The Yankees are now 14-4 against American League Central opponents this season and will hope to make it 15-4 after Tuesday night’s game. Before the All-Star break, the Yankees have six consecutive contests against AL Central teams, so they need to take advantage of the Royals and Twins in order to make up ground in the division. You can vote for David Robertson to get into the All-Star Game here. Voting ends at 4PM on Thursday. Phil Hughes, who has a 4.55 ERA on the season, pitched his second solid start in a row helping the Yankees beat the Twins 7-3 for their second win in a row. After scoring only eight runs in the three-game sweep to the Orioles, the Yankees have now scored 17 runs in their past two games. Joe Girardi has repeatedly said that he has confidence in Hughes and has said that it is important for the team for him to pitch well. The Twins are not the caliber of competition that the Yankees face in the AL East, but Hughes did limit the Twins to one run in seven innings while only allowing two walks. Hughes proved to be able to overcome adversity in this game because in the fourth inning the Twins had runners on second and third with no outs and Hughes was able get three outs in a row. In his last start, against the Rangers, Hughes allowed two runs in eight innings, so it is possible that he is starting to turn the corner. Another factor that could have led to Hughes pitching well tonight against the Twins is that he has a 3.33 ERA against them in his career. If he can regain the form that he showed in 2010, when he won 18 games, was an All-Star and had a 4.19 ERA, he would be an asset to the team in the second half of the season. Two solid starts in a row is obviously a small sample size, but Hughes has shown the ability to dominate starts in between allowing five or six runs in a start. Just for good measure, since Preston Claiborne gave up two runs and didn’t dominate like normal, Mariano Rivera recorded the last out of the game for his 27th save of the campaign. There were two different offensive positives from this game. One was Robinson Cano’s continued excellence and the other was the sudden emergence of the left side of the infield. Cano went 2-4 with one homer and three RBI. Since going 0-2 on June 27, Cano’s average has raised from .276 to .295 in the span of five games. He has gone 11 for his last 21, has five straight multi-hit games and has driven the ball out of the park in three straight games. Robinson Cano is the leading vote getter for American League second baseman in the All-Star Game voting. For the majority of the season the shortstop and third base positions have struggled offensively for the Yankees, but that was not the case for this win at Target Field. Alberto Gonzalez (.200) and David Adams (.189) combined to go 4-8, and Gonzalez, who had only had 21 at-bats with the team so far this season, drove in three clutch runs. The Yankees (44-39) need to win the last two games against the Twins (36-44) to continue to make up ground in the competitive AL East. CC Sabathia will pitch for the Yankees on Wednesday night. Sabathia will hope that the Twins are the team that he needs to rebound from a shaky previous two starts. The Yankees will be playing a day-night doubleheader against the Los Angeles Dodgers because of the rain that postponed the game last night. Hiroki Kuroda will be pitching the first game against Hyun-Jin Ryu. Ryu is a rookie who is in contention for the National League Rookie of the Year. He only has a 2.85 ERA in 85 innings pitched. The Yankees have lost the last five games that Kuroda has pitched, but in Kuroda’s last start he had everything working for him since he only allowed two runs in eight innings. 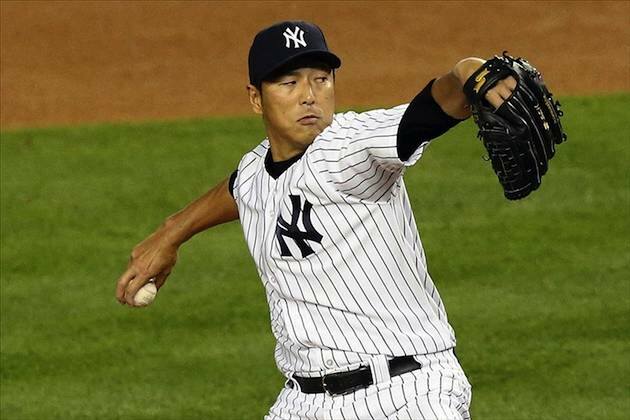 In his 12 day starts for the Yankees during his two seasons with the team, Kuroda is 7-2 with a 2.18 ERA. In four seasons pitching for the Dodgers before coming to the Yankees as a free agent, Kuroda had 41 wins, never allowed more than 49 walks in a season and his worst ERA was 3.76 and best was 3.07. Surprisingly, in the offensively superior AL East, Kuroda (38) has only gotten better. This should be an exciting match-up between a young pitcher coming into his own and a successful established pitcher finishing out his career. In the second game, Phil Hughes will pitch for the Yankees and the veteran Chris Capuano is expected to pitch for the Dodgers during the night game. Hughes (4.89 ERA) has had some solid starts this season but has mostly been unreliable, but hopefully Hughes will be able to bounce back from his last start by continuing to dominate National League opponents. Brett Gardner (.294), Vernon Wells (.301), and Ichiro Suzuki (.358) are all hitting well against lef-handed pitchers this season so hopefully that will help them have success against Ryu.